Ideal owners of larger cats who want to protect their furniture while fulfilling their cat’s natural instinct to scratch. Give your cat a way to relieve her natural instinct to scratch (and a way to get some exercise) without destroying your furniture by providing her with an extra large Van Ness Doublewide corrugated scratch pad. 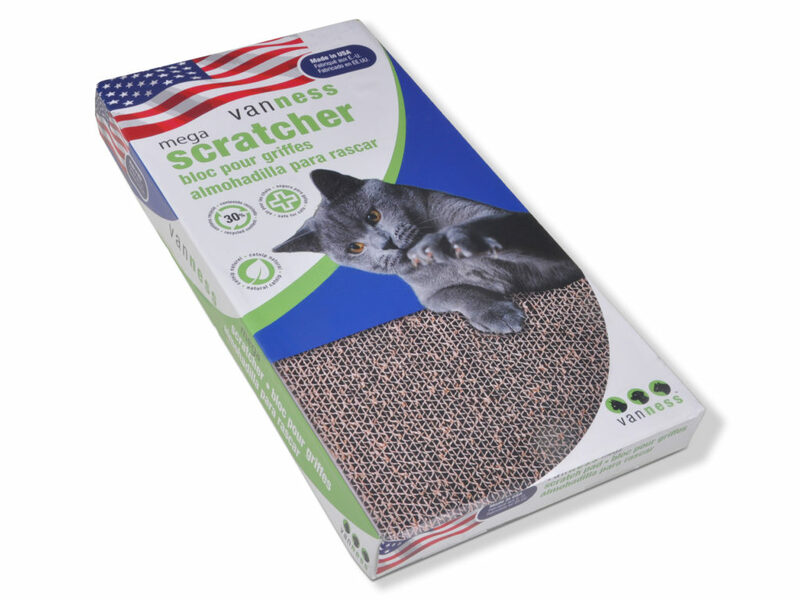 The Van Ness doublewide cat scratch pad is made from 100% recycled corrugated cardboard. Our premium quality scratch pad includes 0.5 ounces of Natural Fresh Nip® catnip and is sure to become the centerpiece of one of your cat’s favorite activities. Packaging includes bonus pop-out cat toys. Made in the USA.